See the Exe River at Topsham as never before!! 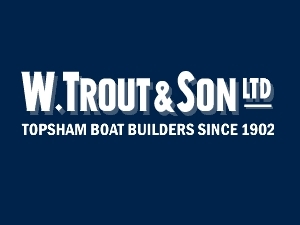 Situated at Topsham on the Exe Estuary, W. Trout & Son offer all Boatyard Services and our own Marine Engineering on site, so come in and meet the team. We are your local Agents for Raymarine Electronic Equipment, Selva Outboards & Solé Diesel Inboard Engines.